The 80 sq. 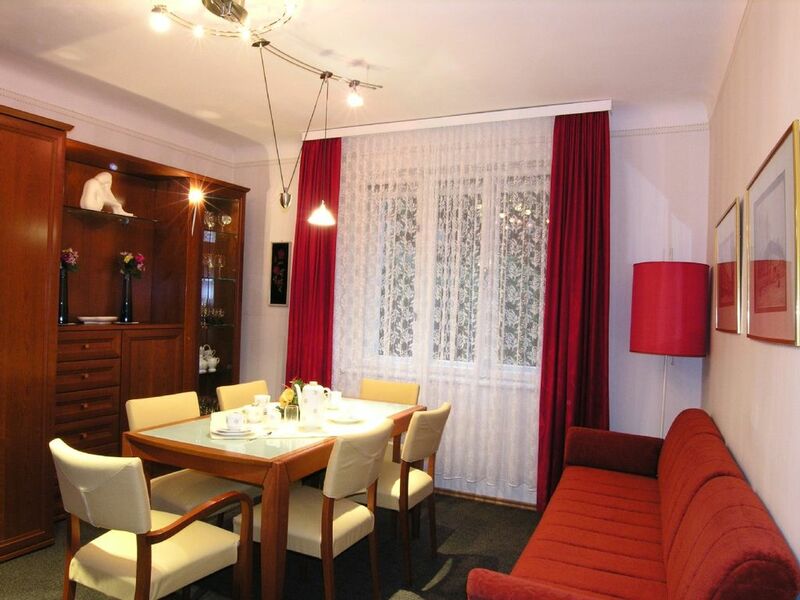 meter vacation apartment situated nearby Schloss Schoenbrunn (the famous castle with the park and the zoological garden) has over 3 rooms with a total of 5 beds, a centrally accessible entrance room, a completely equipped kitchen with a seating area, a bath and a separate WC. This vacation apartment is in no way comparable to a tiny hotel room.. A highchair and a cot are available for small children as well as a work place with internet access for business travelers. 2 Cable-TV units as well as a HiFi-system are also available. By means of the subway-station near at hand you will get to the centre in 15 minutes. In front of the apartment you'll find no-charge public parking lots. The vacation apartment is situated next to a castle, a park and the zoological gardens Schoenbrunn in the classy area Hietzing. It is also close to the studio of the famous Gustav Klimt and Egon Schiele as well as the villa of the actor Hans Moser. The U-Bahn, which is 5 minutes away, can quickly bring you to the center.